More robust IT security has always been one of the top data center industry trends. In 2017, IT managers will expand their data center security best practices to target everything from the facility itself to the chips running inside their equipment -- and these security practices will become more critical with the rise of the internet of things. Data center security is no longer just about having a physical presence in and around the facility. While more cameras or guards around the data center protects a business from physical damage and other risks, improved IT security at the chip level can help reduce the risks of internal threats and sophisticated hacks, said Ray Wang, analyst and founder at Constellation Research Inc.
"You might have one camera outside. 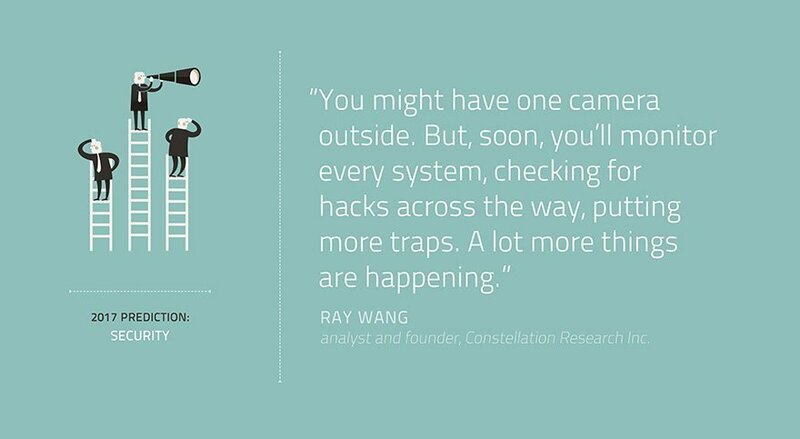 But, soon, you'll monitor every system, checking for hacks across the way, putting more traps," Wang said. "A lot more things are happening." At the chip level, security features must mature for organizations to take advantage of their benefits, said Christian Perry, analyst at 451 Research. "I think the problem there is that a lot of organizations don't know how to utilize that technology to their advantage," Perry said. "And, really, it does become rather complex in terms of when to use that security and when to bake it into processes." These data center security best practices could go a long way to make sure a company avoids possible breaches or compliance violations. Colocation vendors will also continue to boost their security requirements, as the ability to "guarantee a minimum level of security for the business" will be a differentiator in the colocation market, Perry said. What new security features will you introduce to your data center in 2017?